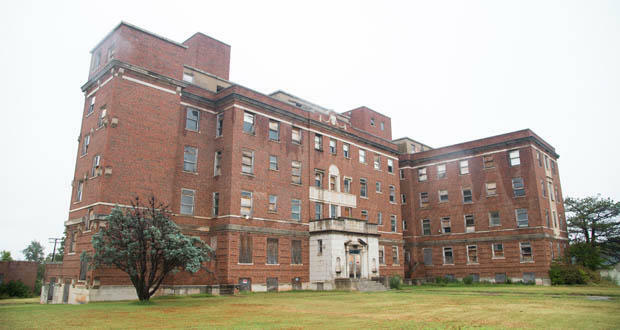 A planned development at the old Logan County hospital in Guthrie would be affected by a proposed end to the state’s Affordable Housing Tax Credit program. One bill filed during the special legislative session would end Oklahoma’s film rebate program, while another piece of legislation would eliminate the Oklahoma Affordable Housing Tax Credit. House 1004, by Rep. Kevin Calvey, R-Edmond, proposes ending the Oklahoma Film Rebate Enhancement Program on January 1, 2018. The program is currently scheduled to sunset in 2024. Lance McDaniel, executive director of the deadCenter Film Festival, told the Journal Record’s Molly Fleming that the rebate program is at the core the film industry’s success in Oklahoma. McDaniel said the rebate program is the perfect way to grow the industry. Since the rebate started in 2011, nearly 50 films have been shot in the state, and more than half were made after the rebate was renewed. Oklahoma Film + Music Office Director Tava Maloy Sofsky said when talk starts about ending the program, it sends out a wave of doubt. She said filmmakers will be more hesitant to grow their business because they won’t know if the rebate will remain. “It provides doubt and uncertainty for our livelihood,” she said. The program currently awards $4 million per year. Fleming told KGOU it is one of the first programs that will be evaluated by the Incentive Evaluation Commission. “The rebate enhancement program ... has a return on investment of 13 cents for every dollar. But Tava has long argued that if she had more money she could bring in more films and even a TV show. So that return could be higher,” Fleming said. Senate Bill 46x, by Sen. Julie Daniels, R-Bartlesville, would eliminate the Oklahoma Affordable Housing Tax Credit on July 1, 2018. The program, which began in 2015, allots $4 million per year. Fleming writes in the Journal Record that the state program matches money from the federal Low Income Housing Tax Credits program. The state’s program has generated a lot of interest since its inception, said Pamela Miller, housing financial analyst at the Oklahoma Housing Finance Agency. The office is not a state department. It oversees housing finance programs, such as the LIHTC. “We get more applications (for the state program) than we have funds for,” she said. People using the state tax money can develop in only 74 counties. Oklahoma, Tulsa, and Cleveland counties are not eligible for the projects. This helps the money to be spread outside the municipalities, which means the federal credits will go along with it. Fleming said affordable housing development in Oklahoma could come to a halt without the public money because it helps provide gap funding. Jacob McCleland: This is the Business Intelligence Report, a weekly conversation about business news in Oklahoma. I'm Jacob McCleland. I'm joined today by Molly Fleming. She's a reporter with The Journal Record newspaper. How's it going, Molly? McCleland: Well I'm glad to have you back on to talk about some legislation to end a couple of incentive programs. One is by State Representative Kevin Calvey. He's a Republican from Edmond. And this bill would end Oklahoma's film rebate program by the beginning of January. You talked with several people in Oklahoma's film industry what are they saying about this proposal? Fleming: They're saying that the Oklahoma film rebate enhancement program keeps productions coming here for movies. The rebate started in 2011 and since that time 50 films have been shot here including the award winning August In Osage County. McCleland: What are some of the other states that are competing with Oklahoma for movie production right now? Fleming: So Georgia has really made a name for itself in the film and television business. I mean if you watch anything Steve Harvey makes, it has the Georgia Peach logo at the end. Oklahoma Film + Music Office Director Tava Sofsky was telling me that Georgia had the same back and forth that Oklahoma had with its rebate program their legislators would say it's not worth the money. Then they would they would increase it. But once the legislators stopped threatening to end it, the film companies set up shop. So in 2010 the first sound stage was built and now there are more than 40. So in seven years that's pretty huge growth. McCleland: As somebody who lived in Missouri for many years I was really excited about the new Netflix series Ozark but that wasn't even shot Missouri. It was filmed in Georgia, too. Fleming: I know I was really disappointed about that as well. I was expecting, you know, the Lake of the Ozarks area to become the next New Mexico where people would go visit the sites. But yeah it was a shot in Georgia. McCleland: So overall does the film rebate program bring in more revenue than it costs the state? Fleming: The film rebate was one of the first programs reviewed by the Incentive Evaluation Commission's third party analysts. That commission is going to spend the next few years evaluating all of the incentive and rebate programs in the states, such as quality jobs. So the firm found that the rebate enhancement program is is it has a return on investment of 13 cents for every dollar. But Tava has long argued that if she had more money she could bring in more films and even a TV show. So that return could be higher. McCleland: Well let's talk about another piece of legislation to end the tax credit. This one was filed by state senator Julie Daniels a Republican from Bartlesville. And in the Oklahoma affordable housing tax credit. This is a credit to help build or renovate low income housing according to people you talk to what would happen without this credit. Fleming: Oh affordable housing projects statewide would likely come to a halt. This money helps provide what developers like to call gap financing. And so in the affordable housing development world, you need all the public money you can get to help keep your rent low or your cell costs low to keep them of course affordable. So if developers are aiming for a low rent amount they might not be able to achieve it if this public money is gone. This would be another hit for affordable housing. With President Donald Trump's budget cutting money to the U.S. Department of Housing and Urban Development, or HUD, developers are concerned there could be a decline in low income housing tax credits, which is the federal piece that helps fund affordable housing. McCleland: But what are some examples of developments that have taken advantage of this particular credit? Fleming: I've wrote about 126 units and in Coweta that were renovated. The next one that was really interesting is the old hospital in Guthrie is slated to receive tax credits to turn that building into senior housing. And there's huge demand for senior housing. So in that building it looks like it's falling apart. So you know anything we can do to renovate it especially if there's public money available would help keep that from being a public nuisance. McCleland: Three counties in Oklahoma aren't eligible. That's Oklahoma County, Tulsa and Cleveland Counties. Well why not? Fleming: So the goal was to spread the money to the entire state. For developers, obviously, it's more attractive to build in Oklahoma City and Tulsa but at 23rd and Lincoln, legislators try not to keep everything in urban areas so excluding those counties is to make it more attractive to build affordable housing developments in rural Oklahoma. Fleming: Hey thank you. .